Your shower looks beautiful! Glad to hear that baby is doing well and you are both being monitored well! How fun! So glad you got to have your shower, and also that baby is still staying put and doing well. Hope your scan goes well later this week! Keep cooking little one! Shower looks wonderfull!! I hope the little one hangs in there and keeps baking for now!!! Although, it sounds like you would be in perfect hands if anything happens from now onwards. 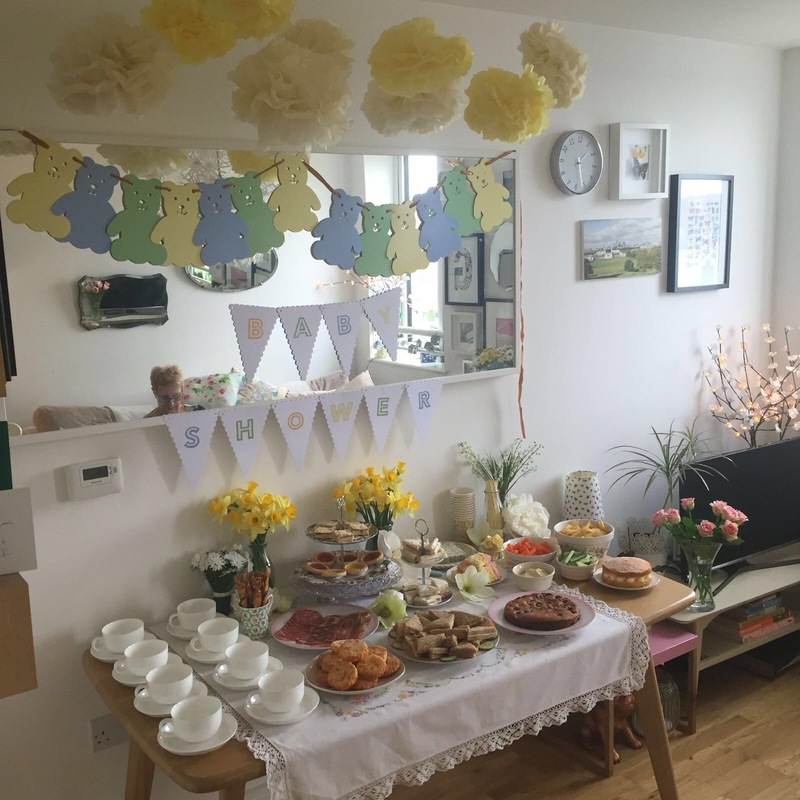 What a beautiful spring baby shower!! And a neat idea to decorate bibs…fun, personal and practical!!! PS. I’m totally salivating at those jam tarts – I miss them so much (they don’t have anything quite like them here in the US!)!!! What a gorgeous shower! How lovely of your friend and mom. Looks like a wonderful little gathering. I’m so happy that things are still going well — congratulations on making it to 31 weeks! You’ve been so brave and it’s just wonderful to see things continuing to go smoothly — so happy for you! Sending wishes for a smooth last 9 weeks! Looks like a lovely shower for a lovely mom to be!